It’s a fact: The majority of recruiters find it challenging to attract and hire top talent from the available candidate pool. Earlier, HR professionals were dependent on advertising in newspapers in order to get a few good applicants. But as technology has transformed each and every industry, the recruitment sector has also changed. As per the Recruiting Software Impact Report generated by Capterra, 94% of recruiters and hiring managers believe that software has enhanced their hiring process. But this isn’t the end of the tech story. If you are one of those struggling to find and recruit potential candidates, then you have to modify the approach with which you fill your pipeline and record it in a CRM tool. Also, you need to incorporate advanced recruitment technologies and be on top of the latest tech trends that directly influence the hiring landscape. Let’s explore six such trends that are transforming the HR industry. 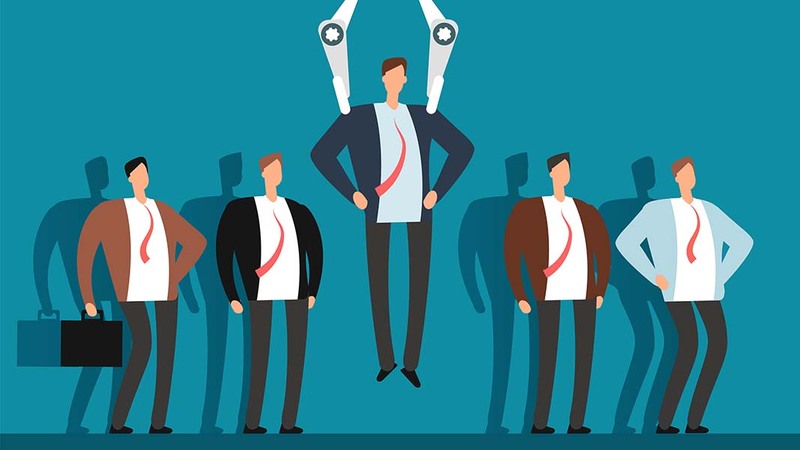 According to Statista, 60% of leading tech companies across the globe invested in incorporating artificial intelligence (AI) powered recruiting software last year. From this research, it’s quite clear that recruiters are falling in love with Artificial Intelligence (AI) and Machine Learning (ML) solutions. The majority of recruiters believe that AI and automation are transforming the ways in which they find and hire developers. These solutions are proving to be a boon in performing monotonous tasks such as screening engineering resumes efficiently and quickly, especially when it comes to reviewing basic, software development skill sets and language proficiencies. For example, Filtered is an AI-powered platform which simplifies and streamlines the task of recruiting tech talent for HR professionals. Basically, the solution examines the programmers by providing them with several coding challenges that are generated automatically. Chatbots are another invention of AI which primarily responds to diverse queries that candidates come up with. Also, these bots reduce the workload for recruiters and allow them to dedicate their precious time to handling tasks which are much more important. ML is also being used extensively to build recruitment solutions which can make predictions based on data. Such products help HR professionals do seamless background screening, engage with employees at high risk, and use predictive analytics to provide employees with a more personalized experience. Finding potential candidates and retaining talent in this highly competitive and dynamic marketplace is one of the biggest challenges for HR professionals. The task has become even more complex due to the diverse profiles of applicants, multiple recruiting channels, and job complexity. Along with several alternatives to finding the right candidates, recruiters are overwhelmed with the huge amount of data that is available via channels such as job boards, social media platforms, etc. Given the timeline, it’s almost impossible for HR professionals to evaluate a candidate when they apply for a job by analyzing the insights fed into these massive databases and converting them into actionable information. This where big data analytics comes into the picture. Such solutions have the potential to process the raw data and provide recruiters with top candidates who can be the perfect fit for that particular open position. Basically, it accelerates the entire hiring process and improves filling rates. This technology is a subset of ML, which works on the principle of neural network architecture. Deep learning recruiting solutions can break down the complex data and can make predictions. Developers are striving hard to build deep learning software that can process videos and photos of several applicants to categorize them based on objective data. This advanced technology can be used to create virtual assistants that use speech recognition algorithms to respond to candidates’ queries. Even recommendation engines can be built by using deep learning to provide employees with a unique and efficient learning experience platform. Applicant Tracking Systems (ATS) or Talent Management Solutions are tools used extensively by employers to screen applicants and streamline the tedious hiring process. These products allow hiring managers to assess the applicants, send them automated messages, inform them that their application is registered, and provide them with basic online assignments. Also, these solutions can be used to schedule interviews. ATS has centralized databases where they document employee records and associated history and activities. Moreover, these solutions make sure to be in compliance with government talent recruiting and onboarding rules. IBM Kenexa is a cloud-based ATS built by the tech giant IBM. It was named one of the best applicant-tracking software in 2019, as per a list presented by Softwaresugest.Com. Zoho Recruit, Oracle Taleo, TalentCube, and Talent Recruit are some of the other popular systems mentioned in the list. Technology has made the world global and internally connected, where employers are all set to explore the international talent base. Recruiters are scheduling videoconferencing in order to screen potential candidates for face to face interview sessions. Multiple teleconferencing software solutions are available such as Interview4, Zoom, Jobvite, and Montage. A few of these products have the potential to record video interviews so that hiring managers can examine candidates later on. It has also become easy for employers to schedule multiple video interviews in one day and speed up the entire hiring process. In this digital world, the internet has become a primary tool for finding potential professionals. Recruiters are exploiting key social media platforms such as Twitter, LinkedIn, Facebook, etc. to move a step closer towards efficient candidates. This approach helps save time and allows networking with top talent. But in order to make your social media hunt a success, you must get hold of essential tools that can perform the task precisely. With constant technological advancements, the battle to find top talent is becoming more intense and challenging for employers. They need to put their innovative gears on and learn to use these advanced technologies for choosing the best from the pool of inexperienced candidates. Technologies such as Artificial Intelligence, ML, Big Data Analytics, and Deep Learning are slowly transforming the recruitment landscape and let HR professionals easily hunt, screen, nurture and refer the best applicants that are ideally suited to their specific requirements.